Without doubt, the music player is among the nice applications of Nokia 3120 classic. It has very nice looks and good all-round functionality, including a good number of formats supported and album art. The music player is controlled by the D-pad but you have our word that dedicated music keys aren't badly missed. Besides all the typical functions, the music player of Nokia 3120 classic also sorts songs by artist, album and genre. The player works with MP3, MIDI, AAC, AAC+, and WMA formats. Naturally A2DP profile is supported, allowing listening on wireless Bluetooth earphones. The player has themes of its own to perk up the looks of the application. In fact there is only one extra skin on top of the default one we got to know since Nokia 5300 XpressMusic. It's called graphite and we did like it. Back to the player, we have to say it offers a large number of configurable options. The sonic experience gets enhanced by an equalizer and a stereo expansion function. There are 8 equalizer presets on Nokia 3120 but you can easily modify them to create new ones. An alternative for the preloaded content on your Nokia 3120 is the FM radio. It uses the audio player interface and has the well known functions. The Visual radio application is helpful, as it can download the radio stations in your area and save them to the handset with their names when internet connection is available. Much like the music player, the FM radio also has two different themes to pick from. The only thing missing is the RDS but you can't have it all, especially on a handset in this price range. The video player of Nokia 3120 is compatible with 3GP and MP4 formats. Videos can be played in fullscreen mode, as well as fast-forwarded or rewound. The possibility to remove the soft key captions to make better use of the full screen mode also improves the viewing experience. 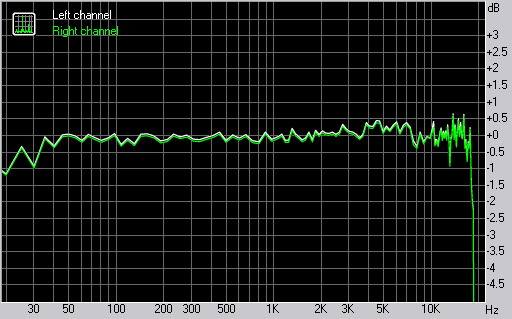 Despite not being a music-oriented handset Nokia 3120 classic has rather good frequency response. However the rest of the readings in our audio quality test aren't as good. This goes true especially for the IMD level which is rather high. Still these are all not too bad so we would qualify the audio quality of Nokia 3120 as passable. However you should bear in mind that most competing models are able to perform better in terms of audio quality. Here are the results so you can see for yourselves. You can find more info about the test itself here.